Shortly after meeting politician Seeman, yesterday, Kamal Haasan spoke to the media and answered a few questions. On being asked a question about the perception that he may not succeed in politics, the veteran actor said that the public will give a solid reply to such detractors petty soon and make the right choice. “Yes, there have been a lot of people who commented on my political entry. In fact a lot of elders have stated that I don’t stand a chance. However, I strongly believe that the youngsters and youth will answer this question and they will decide what they want for the betterment of their state and government,” he added. Well, that this quite a bold reply and proves that he means business. In case you did not know, the Sadma star is a strong critic of the AIDMK government and has previously accused it of being corrupt. He has also expressed his opinion on a range of issues right from demonetisation to the National anthem debate. Interestingly, while announcing his maiden political tour, Haasan had said that it would help him understand the needs of the people. “ I intend to embark on a journey across the state from February 21, 2018, to truly understand as to what the needs of my people are? what is afflicting them? what their aspirations are? 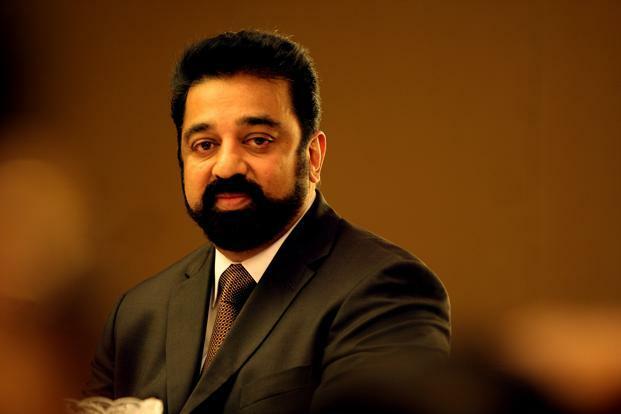 Further, this momentous journey of meeting people across Tamil Nadu is neither an act of rebellion nor is it a gathering for glamour,” Haasan had added. On the work front, Haasan currently has Vishwaroopam 2 and Indian 2 in his kitty. Vishwaroopam 2 is a sequel to the 2013 release Vishwaroopam and also has Andrea Jeremiah in the lead. As far as Indian 2 is concerned, it is a sequel to the 1996 vigilante-thriller Indian and is being directed by top director S Shankar.